If Jagmeet Singh is successful, he would be the first non-Caucasian to helm a major federal party. 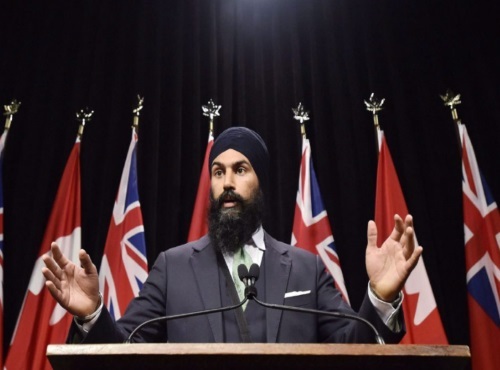 Singh, 38, is known around the legislature as a fashion plate with a recent spread in GQ, a Sikh who pairs his colourful turbans with three-piece suits, a mixed martial arts fighter, an avid social media user and lawyer-turned-politician. Singh said he will later roll out a policy platform, but listed the major issues facing Canada as inequality, climate change, Indigenous reconciliation and electoral reform. Would you vote for him? Let us know on our Facebook Page post here. Click here for the Global News article.